Kylee Murillo, class of 2023, pitcher/utility player for Texas Travelers NTX. She had many great hits and 4 RBI’s playing in USSSA DFW Shootout on 3/30/19 to 3/31/19. She helped her team bring home 1st place medals in the Silver Bracket. Kylee Murillo, class of 2023, pitcher/utility player for Texas Travelers NTX. She had many great hits and 4 RBI’s playing in USSSA DFW Shootout on 3/30/19 to 3/31/19. She helped her team bring home 1st medals Silver Bracket in the tournament. Rorie Pelham (2023 grad) not only is a fierce competitor on the diamond, but also excels in many extracurricular school activities. Just this weekend she was was Rank 1 in the district Texas UIL choir competition. Multi-Sport athlete Riley Mays is a 2024 Pitcher|SS|Utility player for Texas Travelers NTX. She is currently attending Dickson Jr High in Dickson, OkK. Riley stays very active in her school sports program, playing slow pitch softball and runs track in the spring, and fastpitch softball and basketball in the fall-winter. Rorie Pelham 2023 had some good hits this weekend. She batted right and slapped to help get her team on the board. Sammy Hagman (2024) SS for the Texas Travelers NTX 14U showed her solid fielding skills at USSSA DFW Shootout 3/30/19 to 3/31/19 helping her team win Silver Bracket. Sammy Hagman (2024) lead batter of the Texas Travelers NTX has .818 OBP at USSSA DFW Shootout on 3/30/19 to 3/31/19. She helped her team take the Silver Bracket in the tournament. Mays was on point offensively during the DFW USSSA Shootout this past weekend. She had multiple hits, bringing in the scoring runs in several games. Alyssa Sylvester, 2023 Pitcher/Utility player and her teammates bring home 1st place in the silver bracket in the USSSA DFW Shootout this past weekend. Alyssa had couple hits during the tournament. Kylee Murillo, 2023, pitcher/utility for Texas Travelers NTX helps her team bring home 1st place in Silver Bracket Championship in the USSSA DFW Shootout this past weekend. Kylee Murillo, 2023, pitcher/utility player was aggressive this Saturday making defensive plays in the USSSA DFW Shootout. Kylee plays for Texas Travelers NTX. Her team won 1st place in the Silver Bracket. North Texas is one of the strongest softball communities in the country featuring great teams from Rockwall, Rowlett, Royse City, Forney, Dallas, Ft. Worth, Arlington, Keller, Garland, Mansfield, Mesquite, Denton and surrounding cities. Rockwall, Texas features one of the top Girls Select Softball organizations in all of Texas. 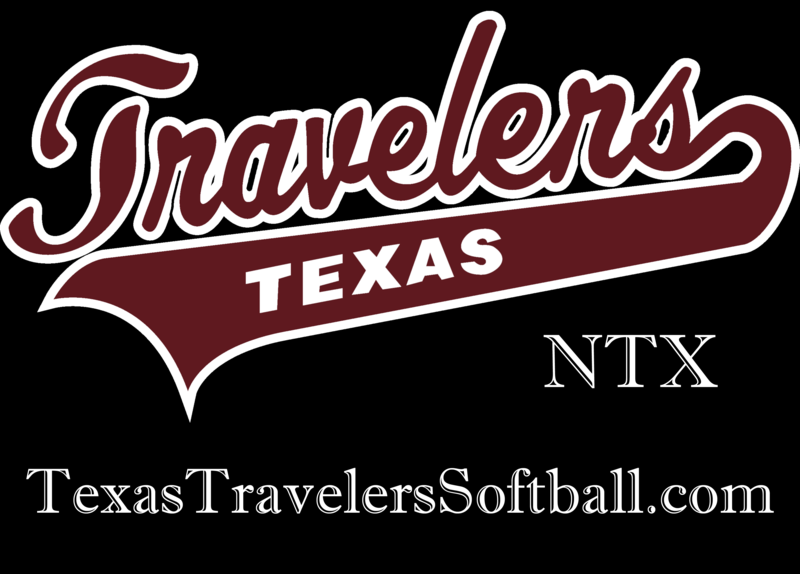 The Texas Travelers have several 04 Softball teams which compete in the most prestigious events in the country; Texas Travelers Gold, Texas Travelers Black and Texas Travelers NTX. Creating an environment in which players can reach their full potential & achieve the self-confidence & positive self-esteem necessary to be successful both on & off the field. Assisting all of our players in obtaining D1 College scholarships. The Texas Travelers organization exists for the specific purpose of developing a competitive youth fast-pitch softball program whose goals are to develop players capable of competing at the highest levels in the country with the demonstrated skills necessary to earn a college scholarship. Our dedicated coaches and volunteer staff facilitate our athlete’s growth by conducting challenging practices and scheduling the highest level of competitive activity available. However, reaching these goals must be accomplished within the proper framework by instilling character, self-esteem, confidence and sportsmanship with the young athlete. The Texas Travelers play USA Softball as well as various other top softball tournaments in North Texas. The strong North Texas Softball Club has won at IFA-VTD, USSSA, and USA levels and continues its push to become the top Fastpitch organization helping softball players achieve their desired goals.